When Office 365 Resource Manager Add-In is installed, it is automatically added to your site on page Site Contents. Click on Office 365 Resource Manager icon to open the app. You will be redirected to a page with Resource Manager overview and 2 buttons to create a first chart. Note: the first user who added a chart gets the Administrator permission for this app. See more in the “Users” chapter. “Create demo chart” button automatically adds a new resource and creates a chart, which will be used as default chart until you set another chart as default. 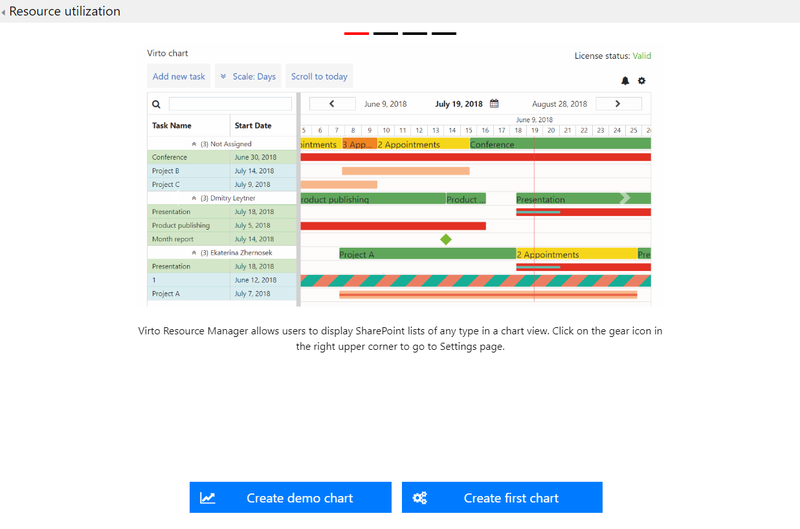 When you add Virto Resource Manager app to a page, this demo chart will be displayed unless you select another one. 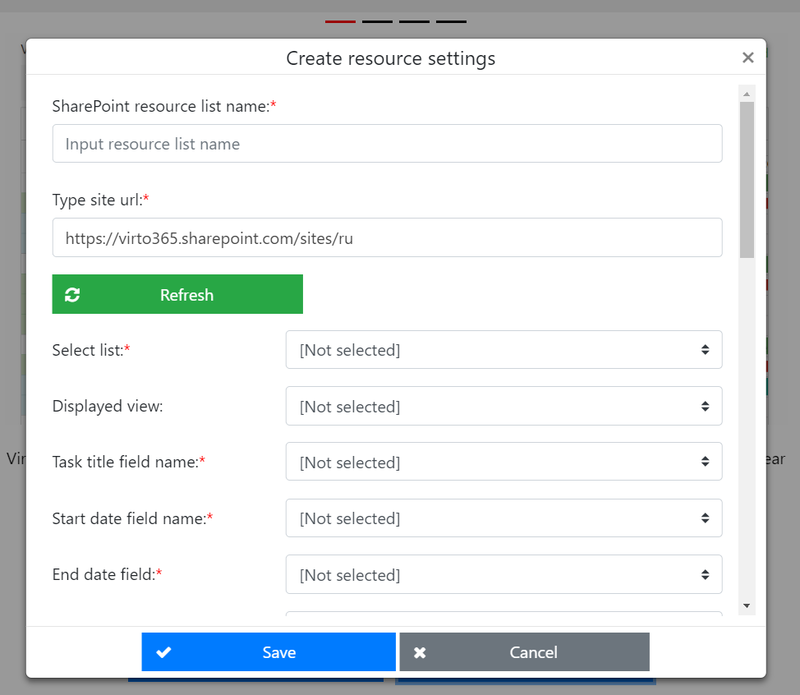 See more in the “Adding App to a SharePoint site” chapter. “Create first chart” button starts the creation of a new resource. See more in the chapter “Create a new resource”.